MANILA, Philippines – President Rodrigo Duterte announced he has fired Customs Deputy Commissioner Noel Patrick Prudente, during an event at the Bureau of Customs (BOC). "I will cut short the agony of Congress. I'm firing him today, Noel Patrick Sales Prudente," he said on Wednesday, May 30, in a speech during the destruction of smuggled motorcycles. Prudente was fired, not only publicly, but in the presence of his colleagues at the BOC. 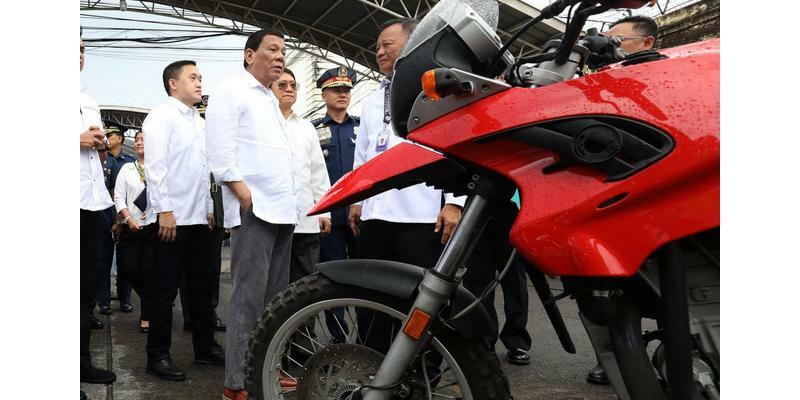 Duterte did not state explicitly why he fired Prudente, but he indicated that it may have been due to excessive travels, an apparent pet peeve of his. "Personal travel to Singapore, personal travel to Europe...," he said, reading from a piece of paper.